Will Somalia give Ethiopia “a base”? A tweet by Martin Plaut, the former BBC Africa editor who is now Senior Research Fellow at Institute of Commonwealth Studies, left Somalis in the Twittersphere wondering why a President who had campaigned on anti–Ethiopian interference in Somali politics might give Ethiopia a base in the Southern Somali coastal town of Merca (Marka). 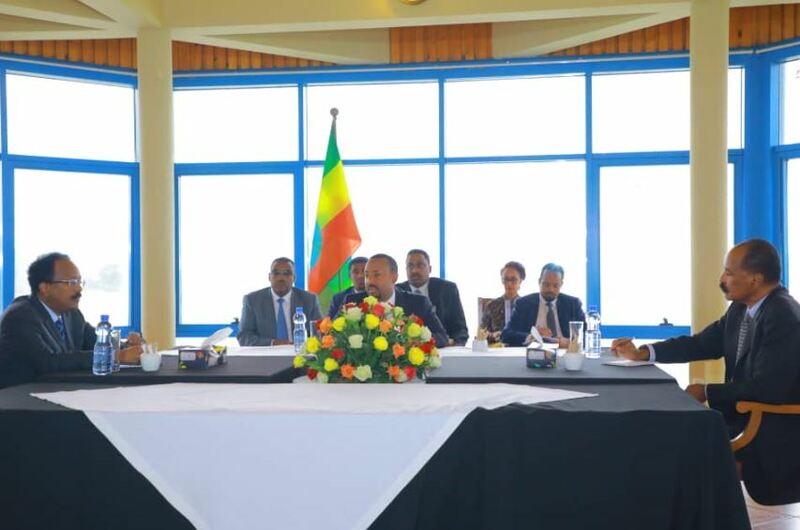 “Will Ethiopia be given a Somali base? 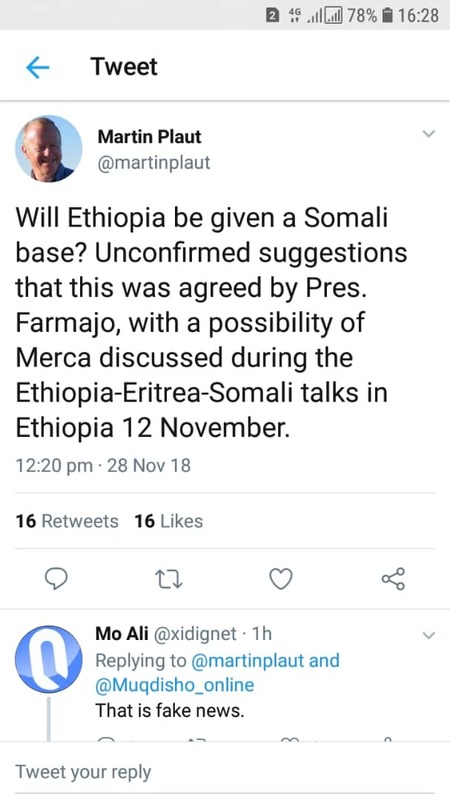 Unconfirmed suggestions that this was agreed by President Mohamed Abdullahi “Farmajo” Mohamed, with a possibility of Merca discussed during the Ethiopia-Eritrea-Somali talks in Ethiopia 12 November” tweeted Mr. Plaut, whose tweets have recently revolved around Eritrean politics. Critics of President Farmajo have seized upon the Tweet they consider to be evidence that the Somali President had been outwitted by the Prime Minister of Ethiopia, Abiy Ahmed, and his new friend, the President of Eritrea Isaias Afwerki. The Federal Government of Somalia has not reacted to the Tweet of the former senior BBC World Service journalist.